About the topic "Translating word problems into equations"
The age of a father is thrice the sum of the ages of his two sons and 5 years hence his age will be twice the sum of their ages. Find the present age of the father. Let "x" be the present age of the father. Let "y" be the sum of present ages of two sons. Clearly, the value of "x" to be found. Because that is the target of the question. 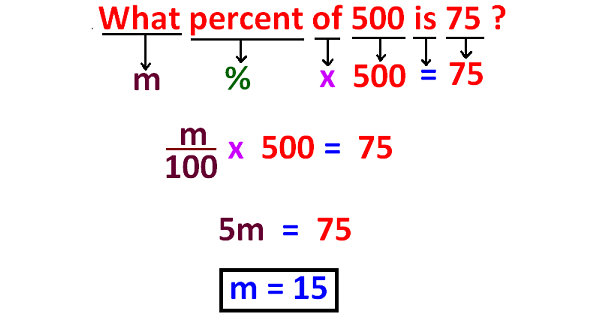 Translate the given information as mathematical equation using "x" and "y". The age of the father is thrice the sum of the ages of his two sons. After 5 years, his age would be twice the sum of their ages. Therefore, the present age of the father is 45 years. "If 3 be added to both, the fraction becomes 3/4"
Let us look at the next problem on "Translating word problems into equations"
For a certain commodity, the demand equation giving demand "d" in kg, for a price "p" in dollars per kg. is d = 100(10-p). The supply equation giving the supply "s" in kg. for a price "p" in dollars per kg is s = 75(p-3). The market price is such at which demand equals supply. Find the market price. Let us look at the next example on "Algebra word problems worksheet with answers"
Let "x" the required number. Three persons A, B and C together have $51. B has $4 less than A. C has got $5 less than A. Find the money that A, B and C have. From the ratio 3 : 5 : 7, the ages of three boys are 3x, 5x and 7x. The ratio of the no. of boys to the no. of girls in a school of 720 students is 3:5. If 18 new girls are admitted in the school, find how many new boys may be admitted so that the ratio of the no. of boys to the no. of girls may change to 2:3. The monthly incomes of two persons are in the ratio 4:5 and their monthly expenditures are in the ratio 7:9. If each saves $50 per month, find the monthly income of the second person. Then, income of the second person = 5x = 5(100) = 500. The ratio of the prices of two houses was 16:23. Two years later when the price of the first has increased by 10% and that of the second by $477, the ratio of the prices becomes 11:20. Find the original price of the first house. If the angles of a triangle are in the ratio 2:7:11, then find the angles. The ratio of two numbers is 7:10. Their difference is 105. Find the numbers. the numbers are 7x, 10x. Hence the numbers are 245 and 350. The ratio between the speeds of two trains is 7:8. If the second train runs 400 kms. in 5 hours, then, find the speed of the first train. So, speed of the first train = 7x = 7(10) = 70 kmph. Hence, the speed of the second train is 70 kmph. If $782 is divided among three persons A, B and C in the ratio 1/2 : 2/3 : 3/4, then find the share of A. First let us convert the terms of the ratio into integers. Hence, the share of A = $ 204. An amount of money is to be divided among P, Q and R in the ratio 3 : 7 : 12. he between the shares of P and Q is $2400. What will be the difference between the shares of Q and R? Hence, the difference between the shares of Q and R is $3000. Apart from the stuff given above, if you need any other stuff in math, please use our google custom search here.